Sustainable development meets the needs of the present without compromising the ability of future generations to meet their own needs. Corporate social responsibility is the voluntary means of a company to contribute to achieving sustainable development. 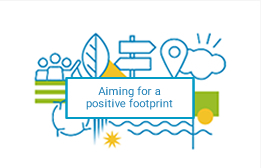 Servier aims to protect the environment and create economic, social and therapeutic value, taking into account the expectations of patients and other stakeholders. CSR at Servier is a shared and meaningful project fully integrated into our corporate strategy through our vision to contribute to providing quality healthcare to all. Indeed, we fulfil this responsibility not only toward the 100 million patients who are treated daily with our medicinal products, but also toward our 22,000 employees, our partners and stakeholders, and the environment. Our CSR policy fully reflects this global responsibility. 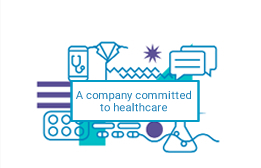 Based on a materiality assessment conducted in 2016 and on ISO 26000, Servier’s CSR policy addresses topics as vast as product safety and quality, the conduct of clinical trials, access to therapeutic treatments, quality of life at work and the environmental impact of our production facilities. 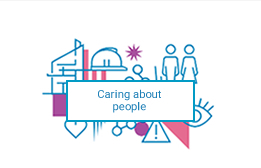 Combined with the Group’s long-term vision and strong values, which include ‘Care’, our CSR policy pushes us to perform and creates value for all in-house and external stakeholders. 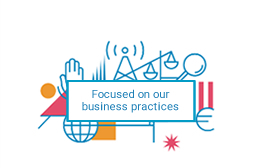 Servier’s CSR Directorate consistently supports all employees in the implementation of CSR policy within each entity. It steers performance in terms of social responsibility and measures progress toward achieving goals. Our CSR Directorate comprises two important bodies. A Strategic Committee defines the focus of our commitments and CSR strategy, in close alignment with overall Group strategy. Assisting this committee is an Operational Committee tasked with defining and tracking our main CSR projects and supporting all directorates with a view to strengthening CSR culture in every country in which we operate. A CSR Community oversees the implementation of this strategy Group-wide.